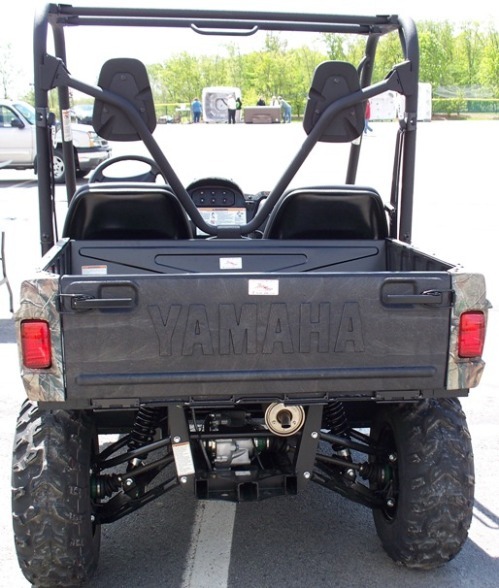 Yamaha ATV photos, New and Old, Custom and Stock. Side by Side photos too. 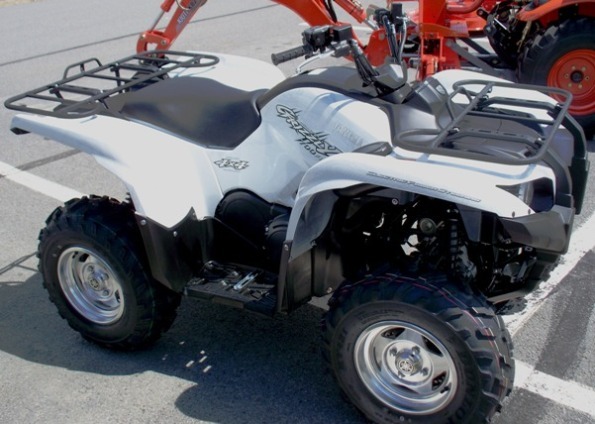 Various pictures of customer and friends' machines, quads we have seen at the Outdoor Expo are here too. 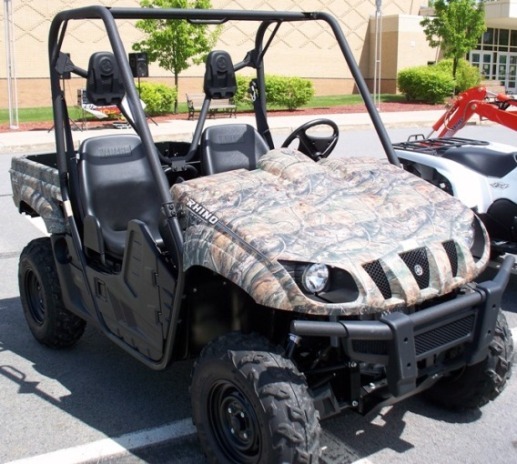 2010 Yamaha Grizzly 700 Special Edition: 4x4, power steering, fuel injected with a really cool metallic snakeskin effect on the plastics. 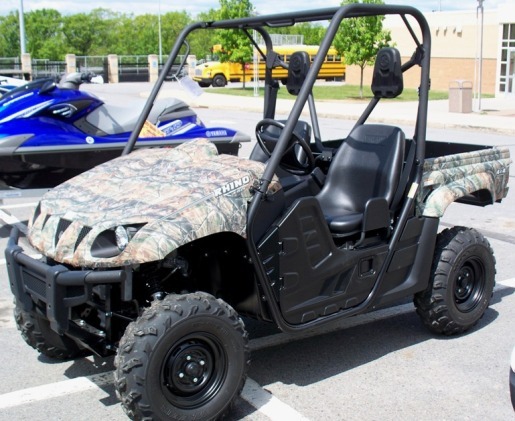 This quad pic was sent to us by a shop in London, England. Just described them as 700cc Yamaha ATVs. 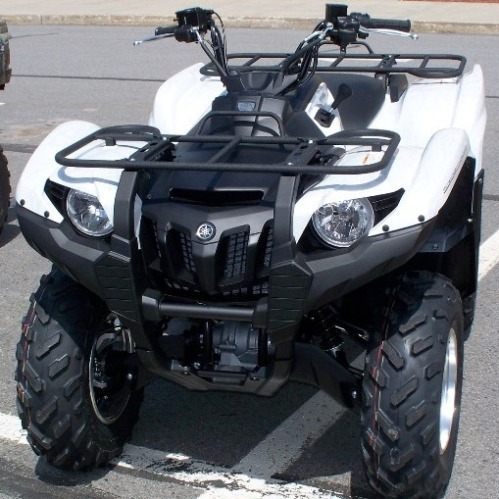 Here is a 2009 Yamaha Rhino 450. It is an automatic with foot pedals like a car, Mikuni carburetor and another interesting feature, a three-position On-Command® In/Out 4WD feature lets you switch between 2WD, limited-slip 4WD and fully locked differential 4WD—all with the simple push of a button. Sounds easy. Better than locking the hubs when you are up to your knees in swamp. I am still not sure how I feel about these. My first impression is that they are just glorified golf carts. But, as people get older & they still want to get out there & ride their motorcycle is now a trike so I guess it makes sense that you would go from a quad to a side by side. Do you have a great photo of your side by side working hard? Share your hill climb adventures with us. Post your photos. Originally a YFZ350... 2006 Yamaha Banshee 6" stretched swing arm, 421cc cheetah cub stroker motor, & custom skinz graphics & seat.